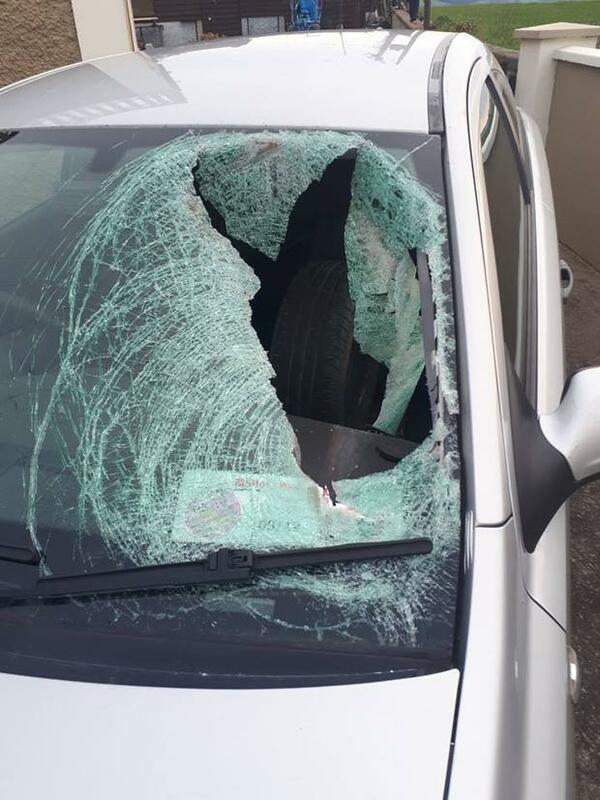 A MOTORIST miraculously cheated death in Cork after a wheel detached from a trailer being pulled by a van and catapulted into the oncoming car's windscreen like a missile. Gardaí have now launched a public appeal to trace the van driver after they acknowledged it was a miracle no-one was injured in the incident. The incident caused major damage to the car - with the detached wheel hitting it with such force that it broke the front passenger seat in half. "Had there been someone in the passenger seat the consequences could have been fatal," a garda source warned. The incident occurred at 6pm on Friday evening on the N73 Mitchelstown to Mallow Road. It took place at Waterdyke outside Kildorrery when the wheel detached from a trailer being pilled by a Ford Transit pickup. The van and trailer were travelling in the direction of Mallow. 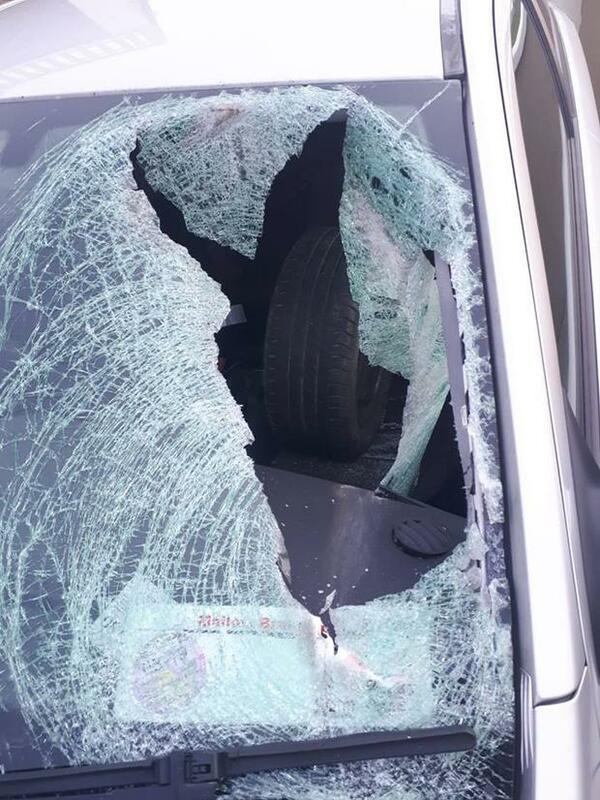 A car was travelling in the opposite direction and the motorist was shocked when the wheel smashed directly into its windscreen. The driver had absolutely no warning and was unable to avoid the wheel which was sent spinning through the air. While traumatised by what happened, the car driver did not suffer serious injury. However substantial damage was caused to their vehicle. Gardaí acknowledged that the incident could easily have had tragic consequences for the driver or even a pedestrian. "The wheel went through the windscreen of an oncoming car with such force that it broke the passenger seat in half," the garda official explained. "The road was busy at this time so Gardaí are now appealing for any witnesses that may have any information relating to this incident to get in touch." Anyone with information is asked to contact Fermoy Gardaí on (025) 82100. Gardaí have also asked for anyone whose vehicles are fitted with dash-cams and who may have travelling on the N73 at the time to contact them. Officers are also checking CCTV security camera footage from business premises along the route in the hope of identifying the van.